In fact, many ‘sugary’ foods are in fact great choices when dieting. Take fruit for example. 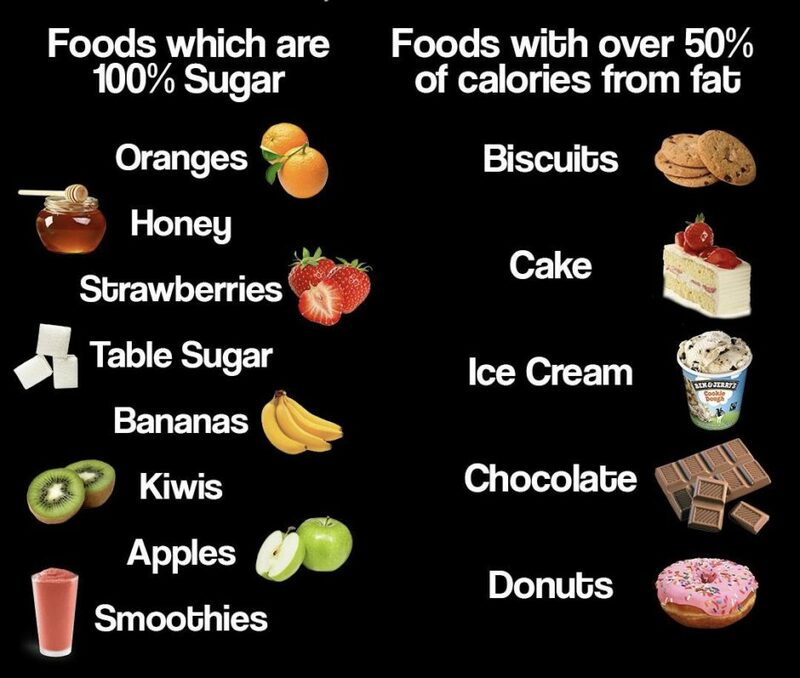 All the calories in fruit come from sugar. Yet fruit is very high on the satiety index (meaning it’s very filling per calorie) making it a great diet food!